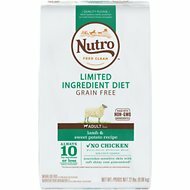 Cater to your dog’s dietary needs with the Nutro Limited Ingredient Diet Adult Venison Meal & Sweet Potato Recipe Dog Food. 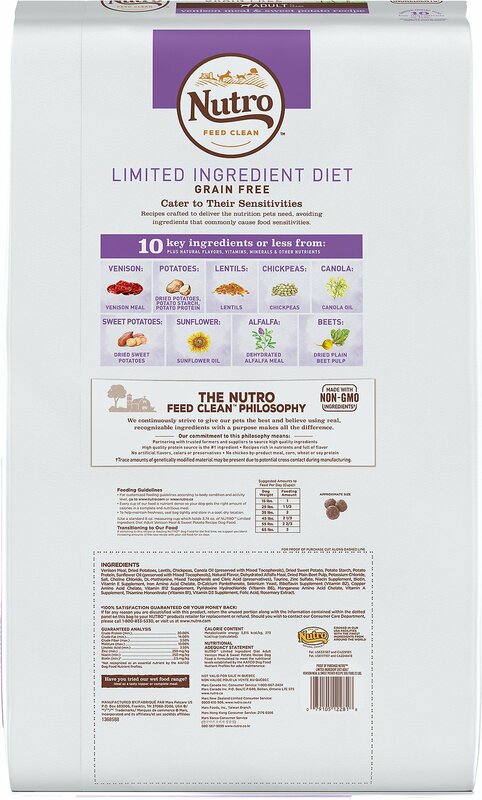 Specially crafted for adult dogs, this clean diet can help minimize food sensitivities, make digestion easier, and ensure that your dog receives the natural nutrition he needs. Offering a premium taste packed with metabolism-enhancing nutrients, each bite is infused with optimal levels of omega-6 fatty acid, zinc, and B vitamins to guarantee a soft coat that shines. 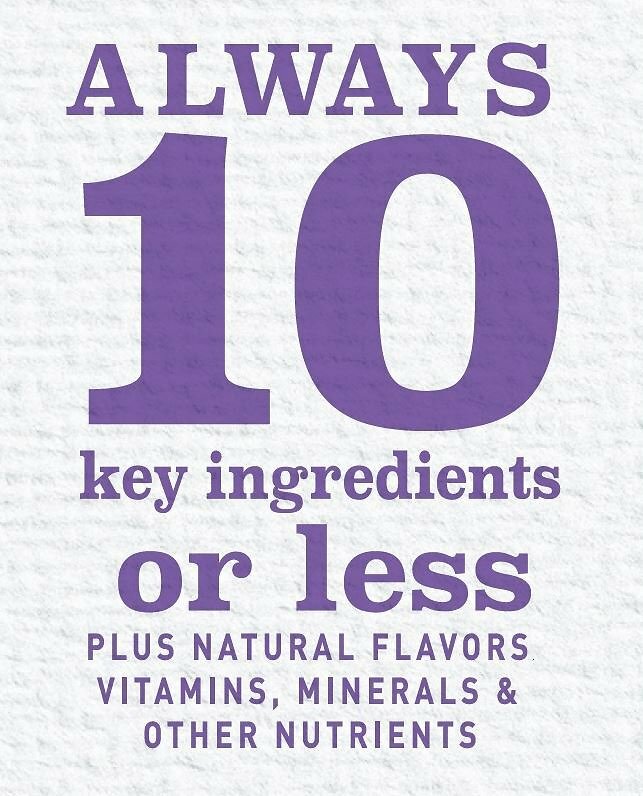 Plus, this limited-ingredient formula is made without corn gluten, corn, wheat, or soy protein. 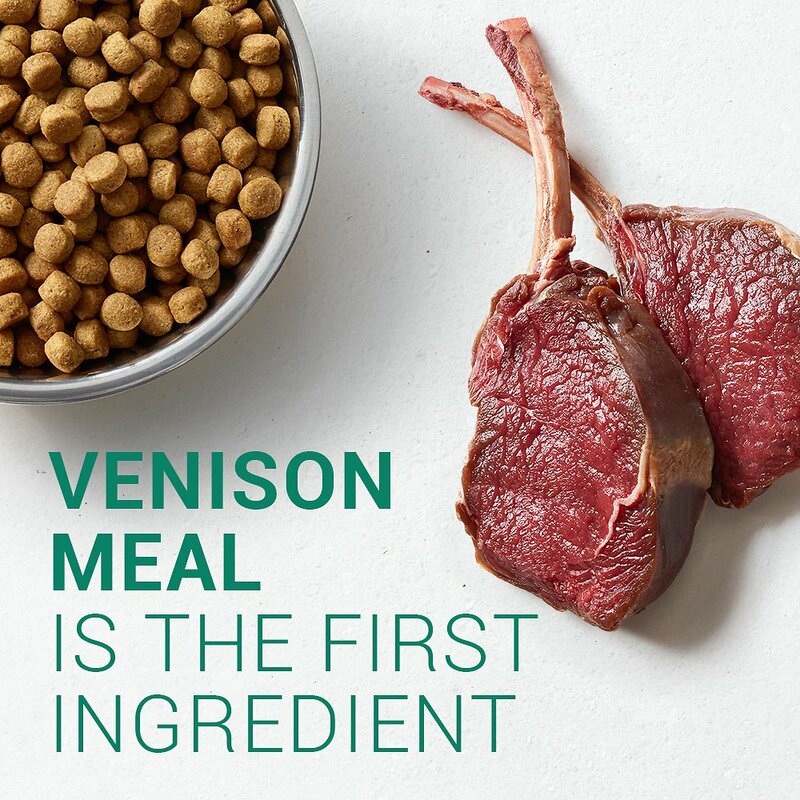 Number one ingredient is venison, which delivers amino acids to build muscle and maintain a healthy metabolism. no allergies and good taste! I was running around in circles trying to find a food brand my poor dog WASNT allergic to. Finally found this brand and he LOVED the venison flavor. Unfortunately, many other owners love it and when I shop at local places, it’s usually OOS. It’s nice that I can buy it from an online source where I know it’ll always be available. I have auto ship and it works amazing and gives me a discount as well! This time around, I did request his kibble early and it’s currently on back order but that was my fault as I was letting the auto ship come earlier. I called their number and was connected right away so we could solve the issue. Still love this kibble for my dog and chewy’s service! My 3 year old GSD nearly died from IBS when his system rejected his previous food. His immune system attacked his digestive tract. Vet prescribed a venison diet that cost $45 for an 8 pound bag that lasted less than a week for one dog. We have 2. The dog food cost me more than the human food! We decided to roll the dice and try Nutro. The dogs love it, the cost is more managable, their coats look amazing and their energy levels have improved. The only thing that could be better is if this food were ALWAYS in stock. I'm so glad that I found Nutro, my Papillon has digestive and skin issues and it was hard to find a food that works for him. I used to feed him a food that Vet approved (Royal Canin) and it seems ok but I noticed terrible staining in his fur. I have to shave or cut part of his fur to removed the red stain. Anyway I took a big leap of faith and tried Nutro Venison and Sweet potato recipe, and I'm so pleased that it works for him and the staining issue disappeared. My apology, I can't fix the 2nd picture.... as you can see the 1st picture showed the red stain in his fur and also near his eyes, while 2nd picture the red stain is almost gone. My dogs have allergies, and I had been making their venison based food. As the venison became more expensive and difficult to obtain, I decided to give commercial food a try. They love it! Only downside is they poop more! Our black lab has had chronic yeast infection in her ears and this seems to help that tremendously but time will tell. So far so good. We’ve got 3 French Bulldogs and a rescue dog. 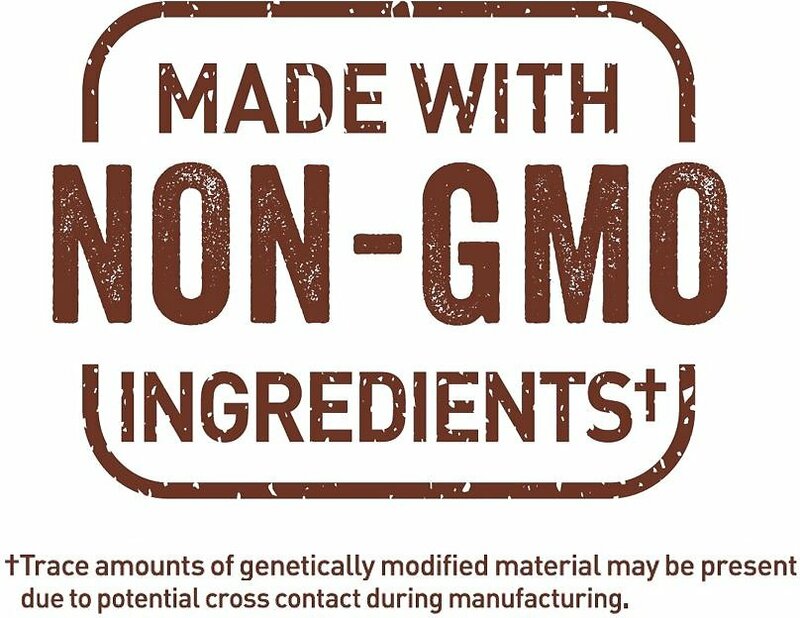 This food is the only thing I’ve found that keeps their allergies to a minimum. I’ve tried them ALL! The rescues skin and fur became clear and soft. The Bulldogs are the same with clear ears and minimal tear stains. Miss Ivy loves the Venison & Sweet Potato Recipe! Her first serving of, I swear she was a vacuum cleaner - it was gone in a flash! She has eaten since with just about the same "gusto" as that first serving. 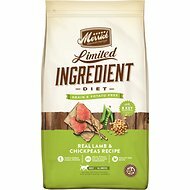 Switching my dogs - a 70 pound pit/boxer mix and an 80 pound lab mix - to a grain free diet. Ordered this food (which they seem to like) but the kibble nuggets are very small, like from a small breed food. This is trouble for my lab mix as she barely chews her food in the first place - inhaling would be more accurate. Is there a grain-free dog food with larger pieces of kibble? It has become near impossible to find the venison and sweet potato limited ingredient in our area. 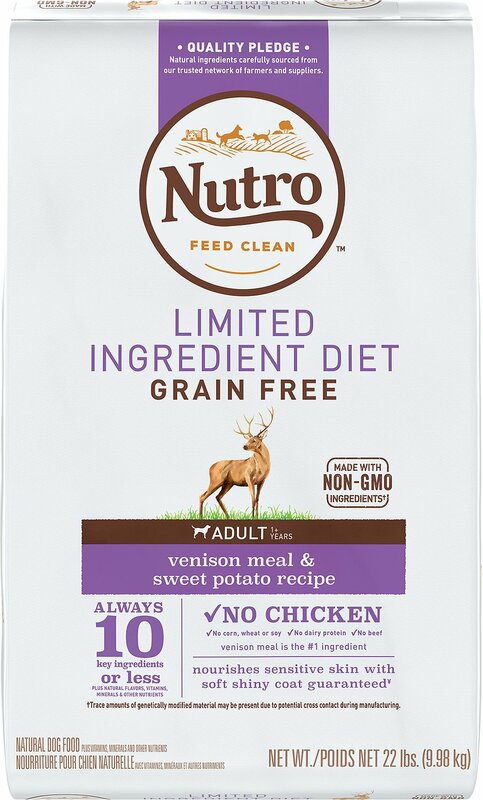 I can get the Nutro brand but anything with venison is not on the shelf. So I thought I would try Chewy. Glad I did.